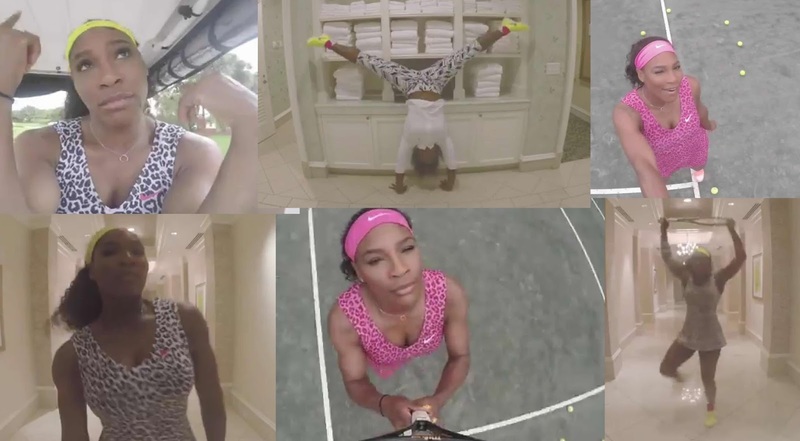 Serena Williams pulled a Beyoncé at the BallenIsles Country Club, practicing power shots and Bey-worthy dance moves to "7/11." Williams has appropriated lines like "Legs movin' side to side, smack it in the air" for her own means in a new remake of Beyoncé's video for that track. Beyoncé shared the video on her Facebook page Wednesday, saying it was "so cute."